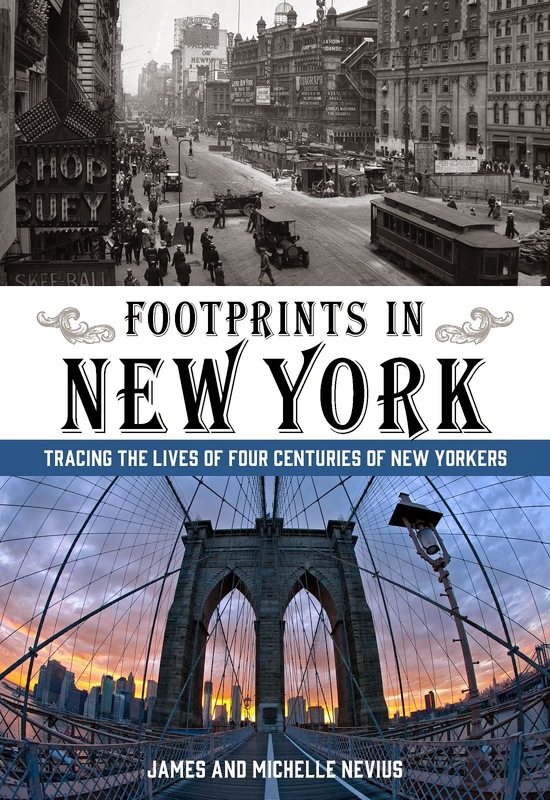 We were at the Metropolitan Postcard Club's annual show this weekend adding to the Inside the Apple archives, when we noticed that we were visiting on an auspicious date. Yesterday was the 115th anniversary of the birth of the modern postcard. 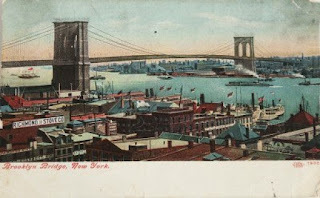 Prior to May 19, 1898, postcards were primarily the domain of the United States Postal Service, which had been issuing pre-stamped, one-cent cards since 1873. These cards were mostly unadorned. 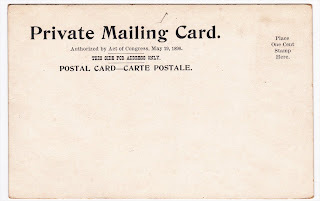 While pivate companies did issue cards during this time--predominantly as advertisements--they required a two-cent stamp, making them the same price as a letter, and, thus, impractical and unpopular. 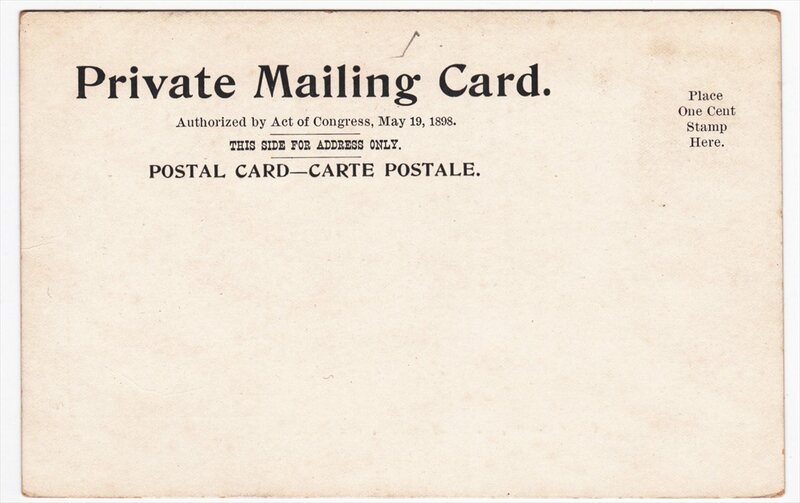 In 1898, Congress decided to allow privately printed cards to go out for the one-cent rate. To distinguish these cards from government issue, they were marked "Private Mailing Card." Until 1907, the back of the card was reserved exclusively for the recipient's address. Only a small white band below the illustration on the front could be used for a message, making it the Twitter of its day. These brief messages are often nothing more than "Hope you are well," "Wish you were here," or, simply, "Received your card," which makes one wonder if some cards went back and forth in an endless loop. In 1907, Congress agreed to allow both the message and the address on the back of the card, creating the postcard format that we know today. 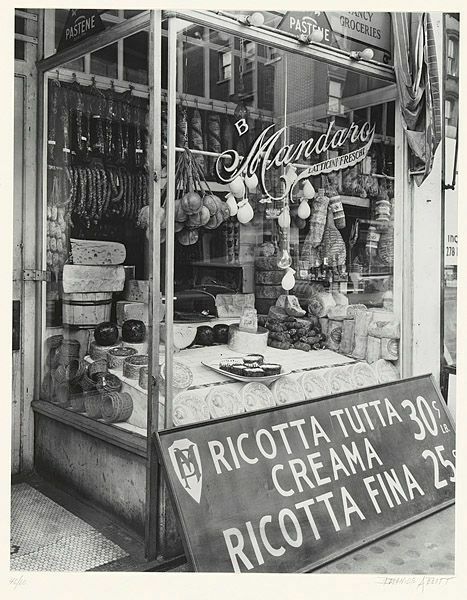 We've featured some of our postcard collection in previous blog posts and, of course, they are prominently on display in Inside the Apple: A Streetwise History of New York City. 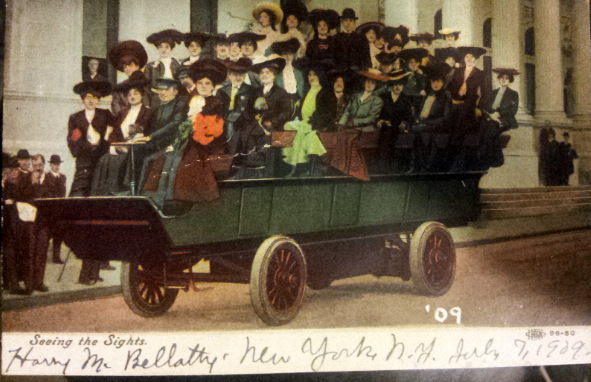 One nice find this weekend was this illustration of one of New York's earliest sightseeing companies setting out from Twenty-Third Street. 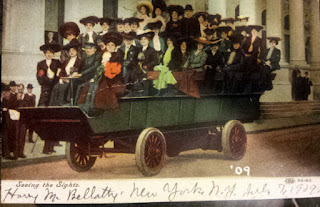 Notice that even though the postcard is from 1909, it still has space for only a brief message on the front. Either this was older stock still being sold two years later or it was just easier to reprint the older cards rather than design new ones.